Prior to the 1960s, when African Americans had little access to formal political power, black popular culture was commonly seen as a means of forging community and effecting political change. 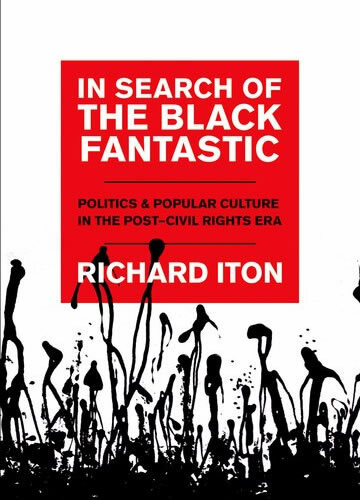 But as Richard Iton shows in this provocative and insightful volume, despite the changes brought about by the civil rights movement, and contrary to the wishes of those committed to narrower conceptions of politics, black artists have continued to play a significant role in the making and maintenance of critical social spaces. Iton offers an original portrait of the relationship between popular culture and institutionalized politics tracing the connections between artists such as Paul Robeson, Lorraine Hansberry, Richard Pryor, Bob Marley, and Erykah Badu and those individuals working in the protest, electoral, and policy making arenas. With an emphasis on questions of class, gender and sexuality-and diaspora and coloniality-the author also illustrates how creative artists destabilize modern notions of the proper location of politics, and politics itself. Ranging from theater to film, and comedy to literature and contemporary music, In Search of the Black Fantastic is an engaging and sophisticated examination of how black popular culture has challenged our understandings of the aesthetic and its relationship to politics.